Worship in our school is concerned with giving glory, honour, praise and thanks to God. Each act of worship follows the four fold action of Gathering, hearing God’s Word, Responding to the Word and being sent forward with a Mission based on the worship we have participated in. We gather together as a school community for whole school collective worship on a Monday. On a Monday, worship is led by Mrs McAleenan based on the Gospel reading from the previous Sunday. This is a theme we will have encountered through the previous week’s ‘Wednesday Word’ and at church on Sunday. On Wednesday Mass is celebrated in the school hall. This may be whole school, key stage one or key stage two Mass. 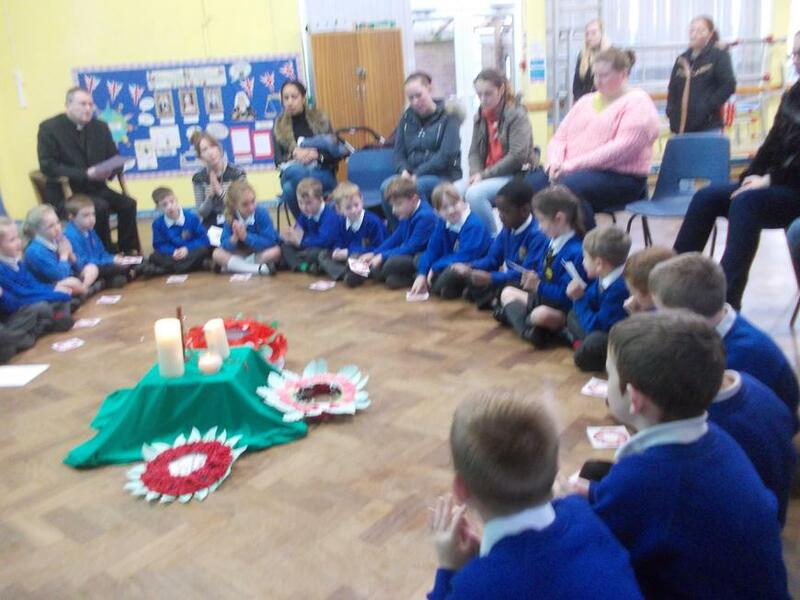 The children prepare and lead the Mass and parents and parishioners are welcome to join us. On Thursdays, class prayer services are held. The service may link to a particular Bible story; a feast day, it could be based on a word, such as ‘friendship’ or ‘compassion’ or it could be linked to the Values and Virtues. On Fridays, we come together to celebrate our achievements and successes in our praise assembly. 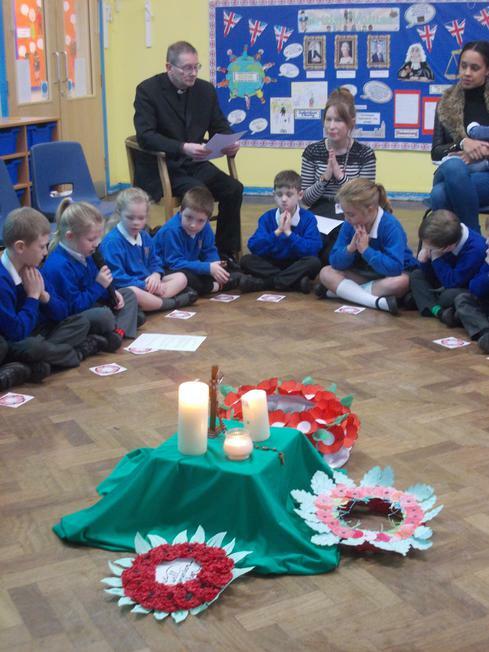 Each classroom has a dedicated prayer area where the class pray at regular intervals throughout the day. 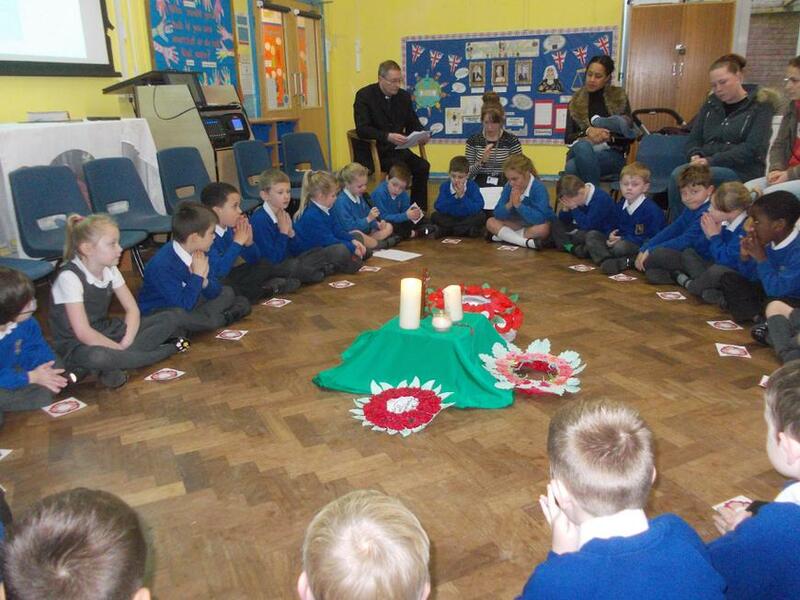 Throughout the year Father David and parents will be invited to join each class for their class Liturgy. Each class will plan and prepare their own Liturgy.